Polaroid instant film is back! Polaroid instant cameras have been brought back to life by a third-party company, with the first batch of old/new devices set to hit shelves sometime in 2010. The Polaroid brand has been through the mill as of late, with the company filing for bankruptcy back in 2001, the brand was then bought and diluted into everything from TVs to DVD players, and then there was the news last year that instant film was being killed off. But now it's back with a vengeance in camera form, with a little help from The Summit Global Group (who now own the brand) and The Impossible Project, who has been roped in to make instant film for the cameras. 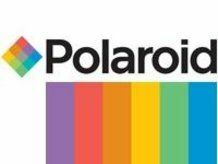 Polaroid has announced that both analogues and digital cameras will be released. Already there is a digital Polaroid camera on the market, called the Polaroid Two, which uses ZINK (zero-ink) technology. Complimenting this will be the Polaroid Three, which is set to produce 4x3 digital prints. The analogue cameras that have been resurrected include the Polaroid 600 (as seen above) and the Polaroid 100. Speaking about the re-launch of Polaroid, Giovanni Tomaselli, Managing Director of Summit Global, said: "This is the beginning of our instant analogue directive that will span a family of products and return Polaroid to a relevant industry participant. Summit Global is driven to make the Polaroid Brand's future as exciting as its past – Starting Now!"